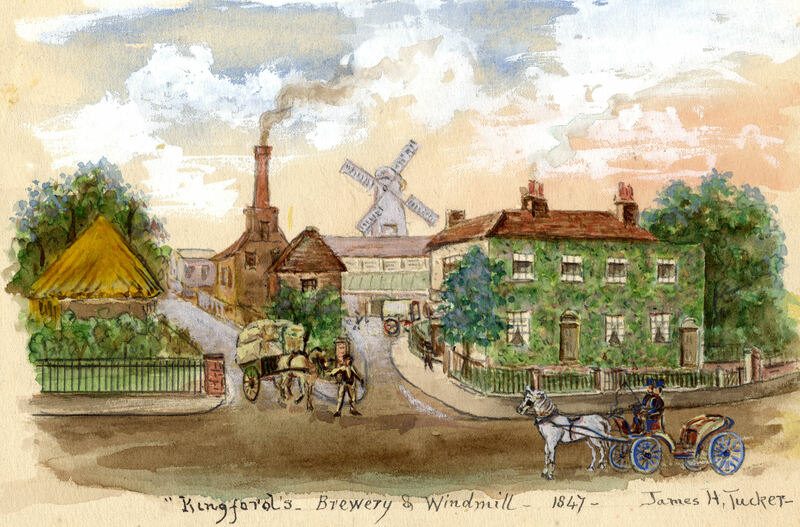 In 1798, a water-pumping windmill was built at the bottom of Union Road (now Coombe Valley Road) and in 1829, Alfred Kingsford utilised the windmill for a brewery that he opened there. The brewery lasted until 1889, having been taken over by George Beer and Ridgen two years before. Seven years later, on 15 November 1896, the first petrol-driven motorcar was seen in Dover. It came down Folkestone Road through the town and stopped outside the Duchess of Kent pub, in the Market Square. The machine was described as a high and light of an unknown make. It caused quite a stir. After liquid refreshments, the motorcar and occupants continue their journey, via the Deal Road (A258), to Birchington. Within a year, Robert Murray Lawes, of Old Park, purchased an 1889 Daimler and on 19 September 1899, Dover held its first motorcar exhibition on Crabble Athletic Ground. A grand parade of 25 or 26 vehicles of assorted designs followed the Mayor, Sir William Crundall, and his wife, around the track. The Mayor travelled in an electric phaeton belonging to Alfred Harmsworth, 1st Viscount Northcliffe (1865–1922), the newspaper magnet. Among the other drivers was Charles Rolls (1877-1910). At the time, Dover, like many other towns, had a thriving horse pulling handcrafted coachbuilding industry. The Palmer family had been in the business with premises on Priory Street for over a century but in 1896, George Sacre Palmer (1843-1905) opened a coachbuilding factory on the site of the old Kingsford Brewery. He had a distinctive arch built over the entrance at the corner of London Road/ Union Road – a replica of which can now be seen at the Transport Museum, Old Park. George also opened Connaught Coachworks in Cherry Tree Avenue, where Aldi Supermarket now stands. The earliest working road vehicle with an internal combustion engine was a gas-fuelled coach invented by Samuel Brown. It was slow and expensive to run but in 1826, it did climb Shooters Hill, one of the highest points in London! It was another sixty years before vehicles with internal combustion engines using petrol were developed. Gottlieb Daimler (1834-1900) as assistant to Eugen Langen (1833–1895) and Nikolaus Otto (1832-1891) in Cologne, Germany, helped to perfect the first practical and efficient internal combustion engine. In 1883, having set up with Wilhelm Maybach (1846–1929), Daimler made the first successful internal combustion engine using petrol. In 1886, he used the engine to power a traditional coach. 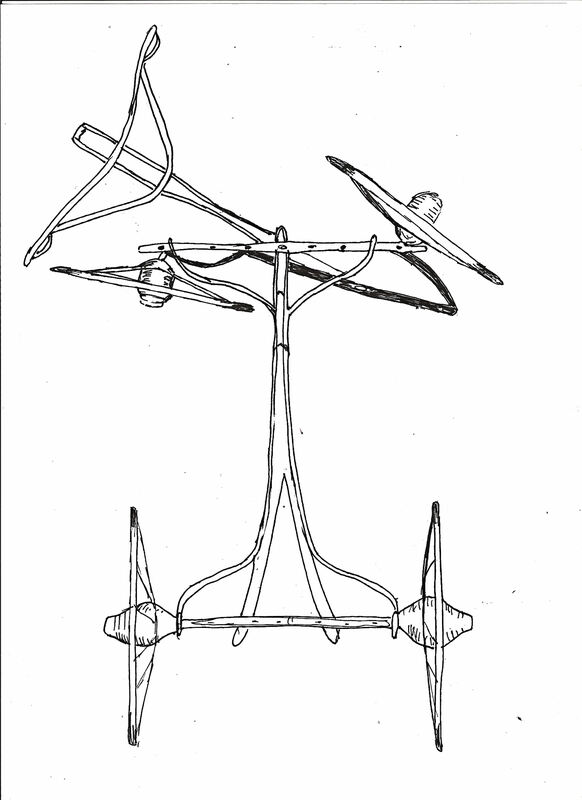 Schematic drawing of the Ackermann steering, developed in the 1820s for a coach. In July 1886 Karl Benz (1844-1929), road tested a three-wheeled car, at Mannheim, Germany. Using his four-stroke single-cylinder engine with electric ignition, he had designed it as an entirely new vehicle but, of note, the front wheels were centrally pivoted – typical of ordinary coachbuilders. He soon adopted the Ackermann steering, invented in 1816, and used by upmarket coachbuilders such as Hills of Castle Street in Dover. Benz offered his petrol driven cars for sale in 1888 and during the last years of the nineteenth century, he owned the largest automobile company in the world. Frenchman, Armand Peugeot (1849–1915), having met Daimler, became interested in making automobiles and in 1890 he built a four-wheeled car with a petrol-fuelled internal combustion engine under the Daimler licence. Six years later Peugot was making his own engines at a purpose built factory at Audincourt, in the Franche-Compté region, France. That year, Daimler converted a Coventry cotton mill to produce his cars in Britain and introduced the concept of out-sourcing. British coachbuilders were known for their outstanding quality of the bodies they produced and it was this that Daimler tapped by out-sourcing. 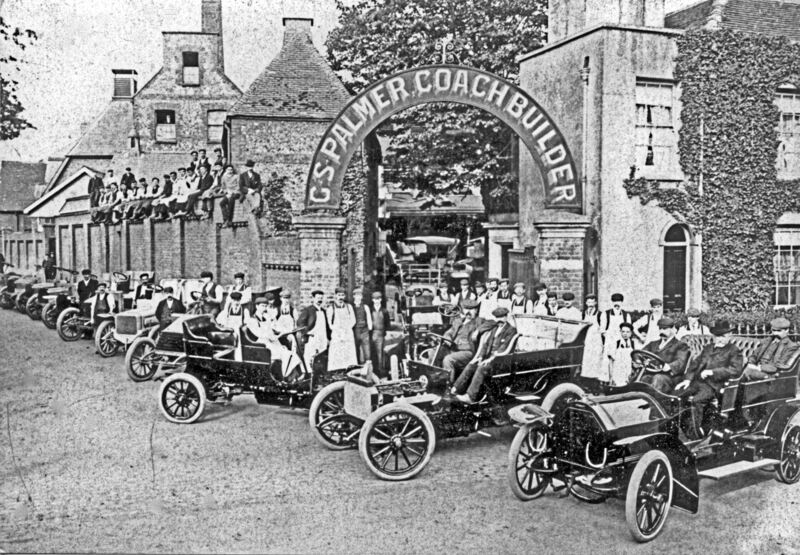 In Dover, long established coachbuilders were under threat from the new motor car but George Palmer decided to take a chance in that market and, it would seem he contacted Daimler. What happened next is unclear but Daimler gave a contract, through George Palmer, to Hills of Castle Street as specialised coach painters for bespoke Daimler customers. 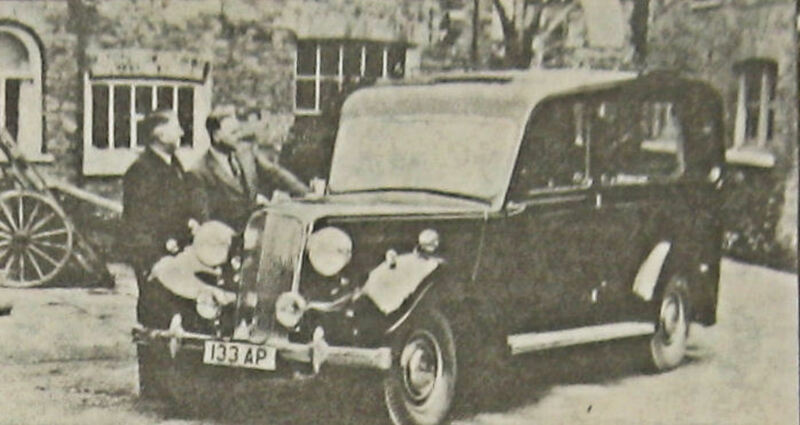 George Palmer, it would seem, then offered to make the bespoke bodies, under licence from Daimler, and the deal was done. Edward Hills retired when he was 65-years old in 1906 and the Castle Street factory closed down. George Palmer died in 1905 and the firm was taken over by his son, Walter. In 1908 Walter received an order to build car bodies for fifty cars with Peugeot chassis and engines. 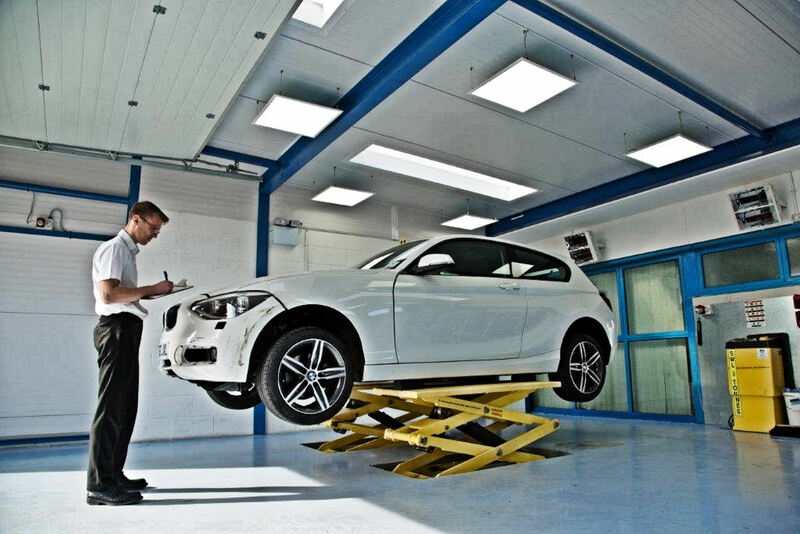 This was the first of many similar contracts and soon the company turned their full attention building motorcars under licence from Peugot, Daimler and other companies. The designs were standardised and the output was set by the manufacturer and had to be adhered to or bettered. In the meantime, the partnership between Charles Rolls and Henry Royce (1863-1933) had been formalised as Rolls Royce Ltd. Royce had created the 40/50hp Silver Ghost in 1906. 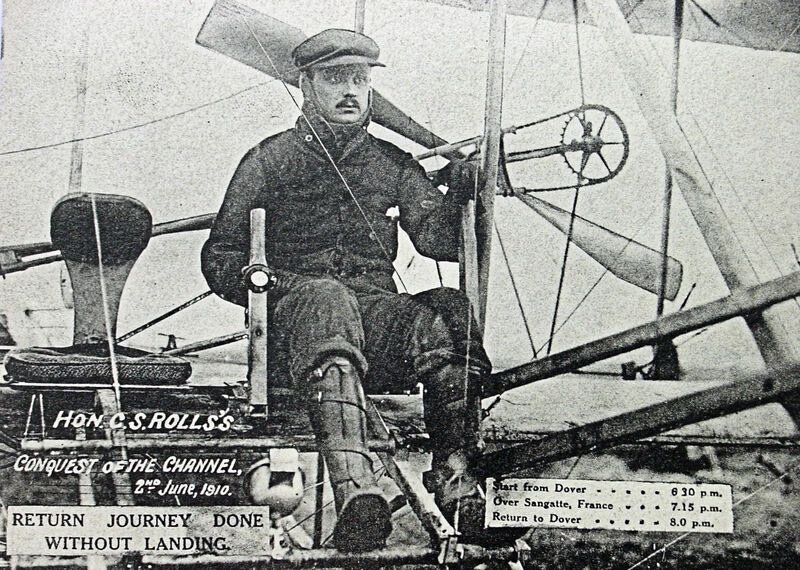 On 20 May 1910 Charles Rolls came to Dover with the intention of making the return crossing of the Channel in a heavier than air flying machine, this he did on 2 June. It would be hard not to believe that Walter used the opportunity to make themselves known to Charles Rolls. Shortly after Palmers secured a contract to build bodies, in the standard design, for 40/50hp Silver Ghosts! 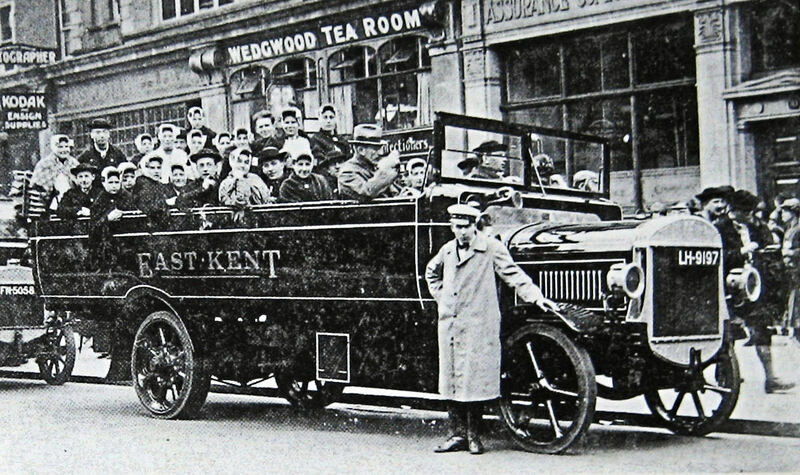 On 11 August 1916, five bus operators in east Kent merged and formed the East Kent Road Car Company Limited, beginning operations of 1 September that year. This was in the middle of World War I (1914-1918) and there were neither the materials nor the men to replace the inherited vehicles. Following the war, the company purchased a large number of Daimler lorry chassis from the War Department for converting into buses or charabancs. Palmer’s secured one of the contracts and the Cherry Tree Avenue works specialised in building the bodies. As the 1920s progressed, the country’s economy struggled and in 1930, it sank into a deep depression. Added to this, in 1913, Henry Ford introduced the conveyor belt / assembly line system that led to mass production in the motorcar industry. This took off in the UK after World War I and soon handcrafted car bodies were out-priced. Palmers were hit and the works were put up for sale. They were eventually was sold for £500 in 1931 and by then most of the workers were laid off and were not re-employed. 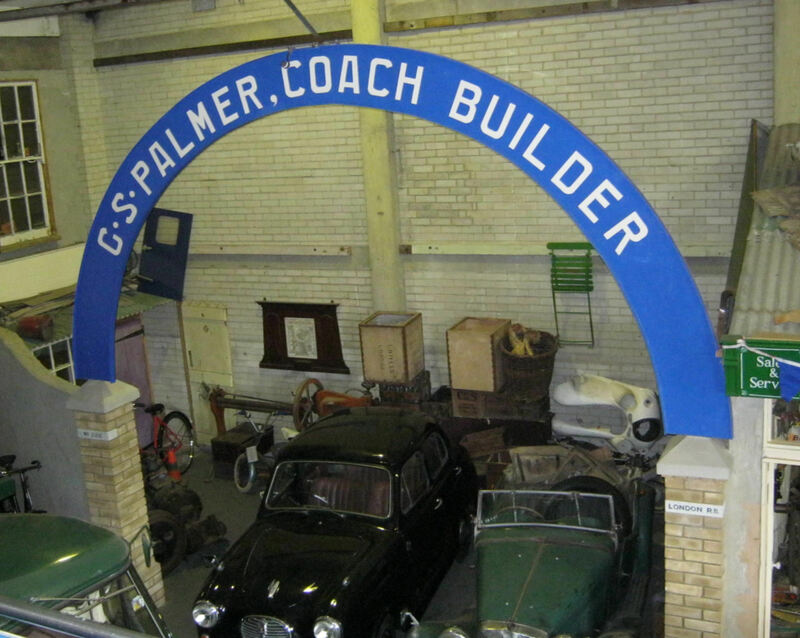 Two of the former employees, Horace Jenkins and Hubert Pain, set up their own business repairing motor-bodies and in 1934 bought the former Palmer premises on Union Road, keeping the distinctive arched entrance but changing the name. They also supported the Buckland branch of Toc H, which was formed in 1937, allowing the organisation to hold meetings on their premises. 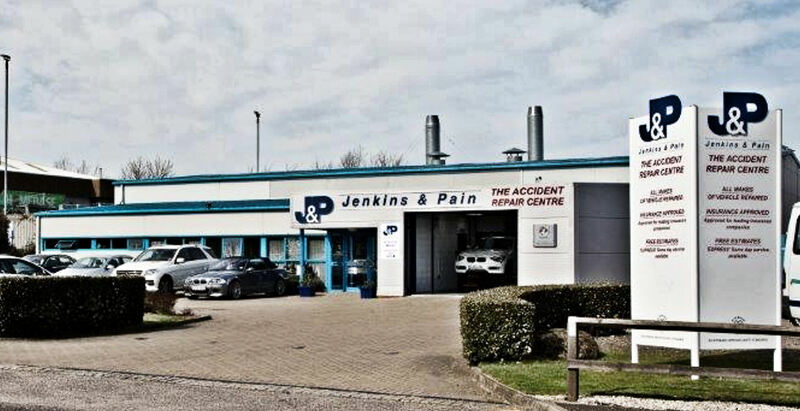 In 1978, Jenkins & Pain moved to new premises behind what were the Gas Works, on the now renamed Coombe Valley Road. The firm was still going strong in the post-World War II years and in 1949 they built a Pullman hearse for a firm of funeral directors in Brighton. The car ended up derelict in a field near Tonbridge but was rescued in 1985 and came in the hands of German surrealist artist Eike Erzmoneit (b1948) who used it for his extensive travels. About 1982 planning permission was sort to demolish the original Palmer site that still had remains of the Kingsford Brewery within its boundaries. The latter was Listed as being of historic interest so demolition required the Secretary of State approval. Dover District Council argued that the remains were in a poor state of repair and were too dangerous to use. Permission was given and the clearance of the site began in July 1983, including the square weather-boarded base of the ancient windmill. This exposed the well underneath, which was secured. Two years later planning permission was given for 33 flats – 19 two-bedrooms and 14 one-bedroom – to World Property Housing Trust. The flats, named Kingsford Court, as a tribute to the old brewery, were officially opened by Lieutenant-Colonel J Kingsford-Carson (Ret’d) on 24 October 1989. This entry was posted in Businesses, Palmers and Jenkins & Pain, Palmers and Jenkins & Pain, Vehicles. Bookmark the permalink.